1. These were delicious! The smaller size meant it was easier to keep them submerged in the sauce and the ratio of bread to meat to seasoning was well balanced. 2. You could also bake these rather than cook them on the stove top if you would rather not babysit. 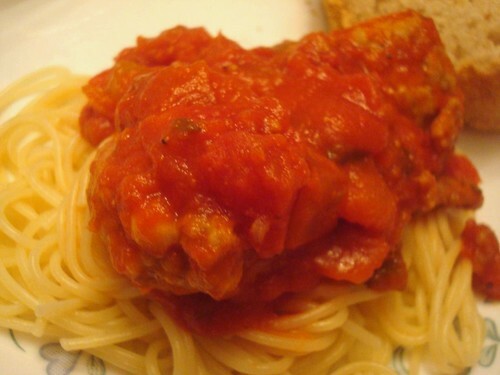 Just put the meatballs in an oven safe dish, cover with sauce and bake for 20-30 minutes.